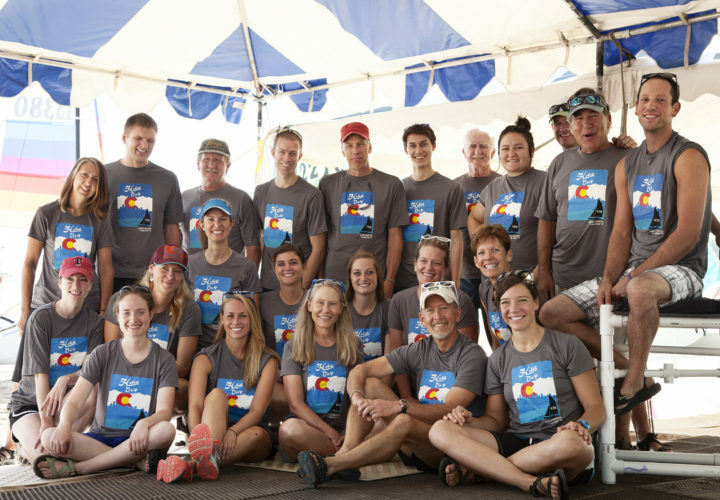 Craig Hospital marked the 36th year of its largest patient outing "Hobie Day," a special event that involves more than 300 staff and volunteers, on Friday, August 7, 2015. 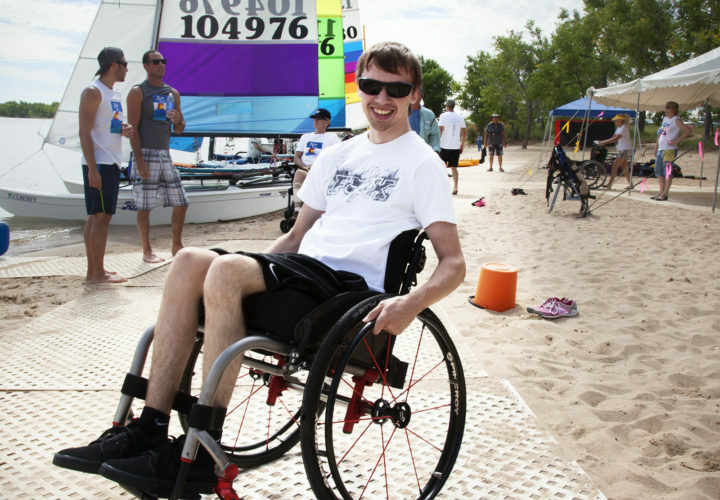 Hobie Day—the largest inpatient outing of its kind in the country—is a fun-filled opportunity for patients and graduates to participate in applied therapy, using functional skills. 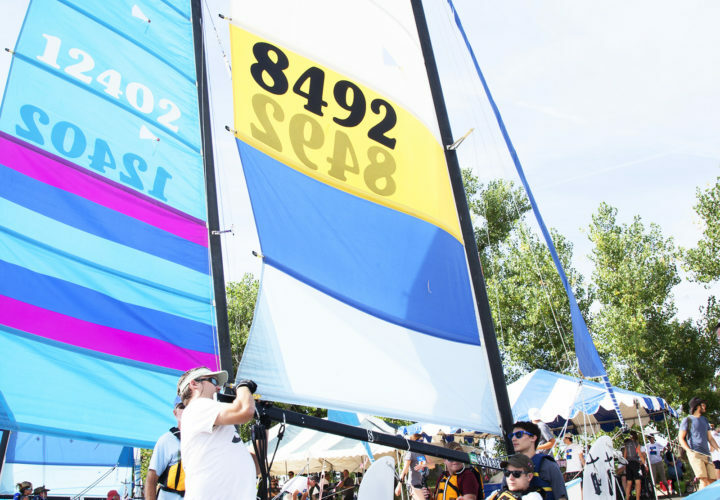 The day includes Hobie Cat (small sailboats) and powerboat rides, BBQ, and music. Recent Craig graduate James Murtha designed this year’s Hobie Day t-shirt by painting with his mouth. He started using this technique after he sustained a spinal cord injury. Approximately 50 Craig Hospital patients from all over the U.S. with paralysis and brain injury will participate in the outing as part of Craig Hospital's therapeutic recreation program. 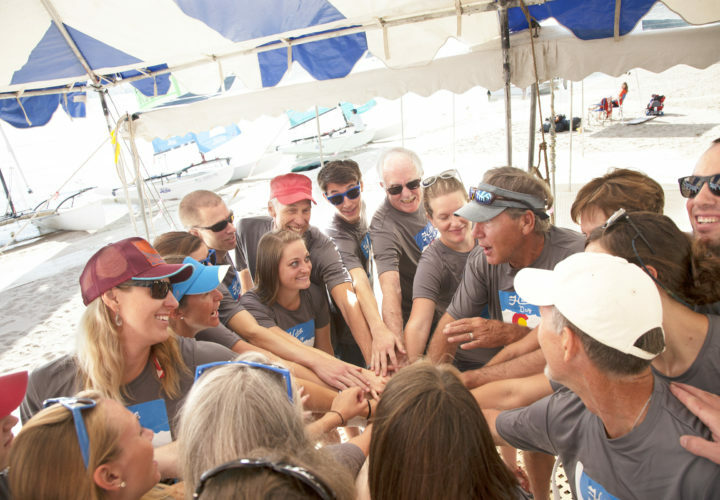 Patients and families will sail or ride in boats, navigate the beach, learn the necessity of taking care of themselves in extended periods of exposure to heat and sun and enjoy BBQ. Accompanied by nurses, therapists and many other departments, patients will test their rehabilitation and self-care skills in real world conditions. Trained Craig staff carefully help patients transfer safely in the Hobie Cats. Patients typically sail for 45 minutes. 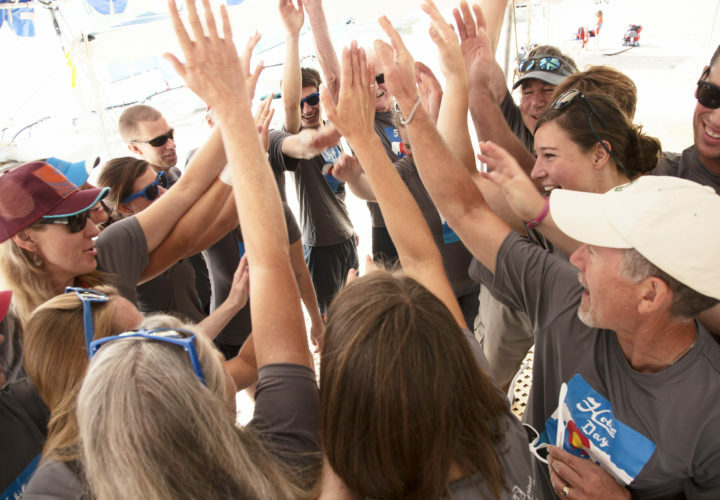 Craig staff come together for a cheer before Hobie Day. Craig Hospital staff picture the morning of Hobie Day. Craig volunteer staff assist a patient to get on a pontoon boat. Craig volunteer staff assist a patient to get on a boat. Craig Grad Blake smiling on Hobby Day 2015.